Microsoft had a Startup Challenge across 10 cities in India over the last couple of weeks. All the winners had to present their product/idea at the grand finals in Bangalore. 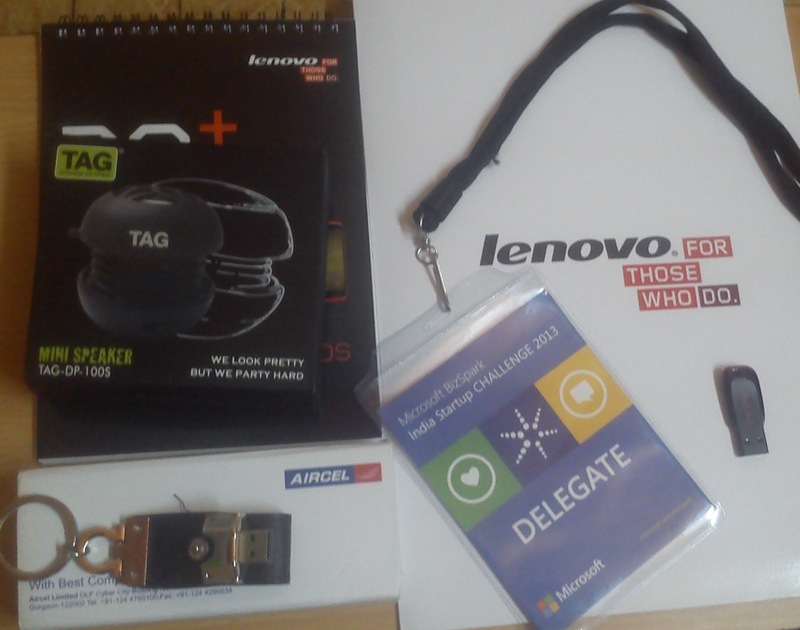 I got the delegate pass to witness the finals thanks to Manoj from Onskies. Each team had to present their product and business/revenue model. The panel of Judges asked various thought provoking questions that really challenged the way these startups perceived their idea. It was a good learning experience and a sneak peak to what the startups are focusing on. I will write a separate post about this event soon. Aircel has launched some pretty cool offers in their Karnataka Circle. This includes free 3G during 6am to 9am and also the cheapest 3G rates among other operators. The top executives were also present during the event and they explained the way Aircel has grown to be one of the most opted telecom provider in the state. They also answered questions/concerns and took suggestions about what the users are looking at. They conducted some games at the venue to keep the crowd lively. Beer was served for people who drink along with a whole bunch of food. Couldn't have asked for a better way to start the weekend. It was Food, Drinks and Mobiles at City Bar on Friday night. Lenovo is all set to enter the mobile market with their Intel 1.2GHz Quad Core processors and high resolution IPS screens. Their 6 smart phones will be on sale in couple of weeks. However we bloggers got a chance to get a hands on all these phones. They look elegant and are priced at a range of Rs. 8000 to Rs. 32000. Nick, who is the executive director for this product launch gave us a demo and took feedback from us regarding these phones. I will try writing a separate post on these phones very soon. Social Samosa is a website with loads of information about Indian Social Media. They organized a meetup where all social media enthusiasts could meet and exchange thoughts. Some top tweeps, bloggers and entrepreneurs participated in this meet. The agenda was simple "No Agenda". It was about introducing yourself to the fellow social media addicts. I am sure a few businesses found new clients and people who interacted only through twitter got a chance to finally see the face behind twitter handles.